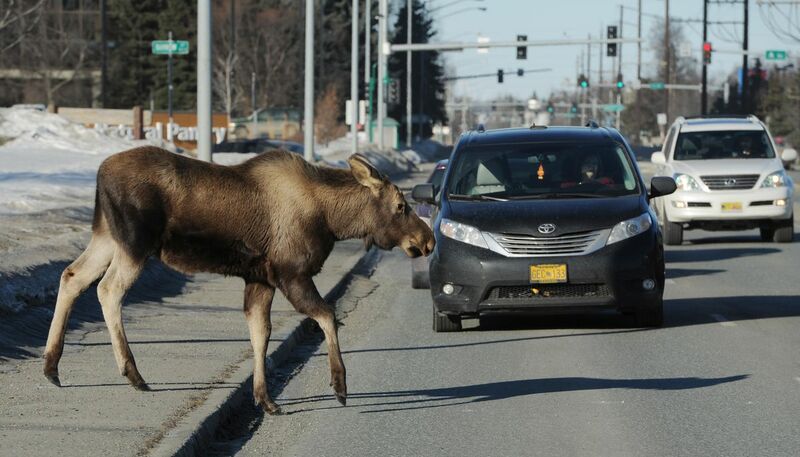 Alaska is known worldwide for its wildlife. We should respect it. Those familiar with Unalaska know that close encounters with bald eagles in the fishing town can be commonplace. But an interaction documented on social media in late May by the crew of a sailing vessel passing through the Aleutian Islands wasn't of the usual sort. In the since-deleted video posted to Instagram, crew member Nico Edwards of the S/Y Infinity reached out to touch a clearly agitated eagle. The Infinity's stated mission on its most recent Arctic voyage, according to its website, is "to inspire people from around the globe to join a movement towards peace and sustainability." "I want to touch you, you don't want me to touch you, and there are some problems associated with this thing," Edwards said to the eagle. "Well, don't be offended by the touching that's going to happen. Shhh. You need to be quiet." There are laws against interacting with bald eagles the way Mr. Edwards did — specifically, the Migratory Bird Treaty Act and the Bald Eagle and Golden Eagle Protection Act. But it's not clear if he or the crew of the S/Y Infinity in general faced any consequences for harassing the eagle. The crew's website and social media bear no mention of the incident. When it comes to harmful interactions with wildlife, however, the incident in Dutch Harbor is just the tip of the iceberg. It's hard to say exactly how pervasive wildlife harassment in Alaska and elsewhere was before the rise of social media. But the explosion of networks on which users have an incentive to contribute "edgy" content — and the global reach of that documented bad behavior — has certainly made the problem worse. In posts to networks such as Facebook, Instagram, Twitter and Snapchat, people regularly document themselves getting far too close to wild animals, sometimes touching them. These actions often put themselves and the animals in harm's way. Worse, they contribute to habituated contact between wildlife and people. That makes the animals more dangerous to humans they meet in the future, even if those people are taking appropriate precautions. On the one hand, it seems like an easy problem to solve given that the perpetrators are documenting their bad behavior, some of which crosses the line into criminal conduct. But there's a clear incentive for those posting pictures and videos of themselves getting far too close to moose, bears and other Alaska wildlife: People find wildlife encounters engaging, and those who post them are often rewarded by more clicks, likes and shares. As demonstrated by the crew of the S/Y Infinity, people looking to spread a message know that, and they seek it out — even when it means real-world consequences like fines, court dates, or even injury and death for themselves or the animals. Given that reality, what can we do to curb such mistreatment of the wildlife Alaskans and visitors hold dear? Institutionally, one clear answer is to more stringently enforce laws and policies against harassing wild animals. On a personal level, it takes feedback from family and friends to communicate that acting a fool around wild animals is nothing to promote or share. If you see a post where someone has documented an unsafe wildlife encounter or if you witness one in person, let them know why that behavior is destructive and dangerous. On the border between civilization and wilderness, we have plenty of conflicts between the two without actively instigating more. The views expressed here are those of the Anchorage Daily News, as expressed by its editorial board, which welcomes a broad range of viewpoints. Current editorial board members are Ryan Binkley, Andy Pennington, Julia O'Malley, Tom Hewitt and Andrew Jensen. To submit a piece for consideration, email commentary@adn.com. Send submissions shorter than 200 words to letters@adn.com or click here to submit via any web browser.